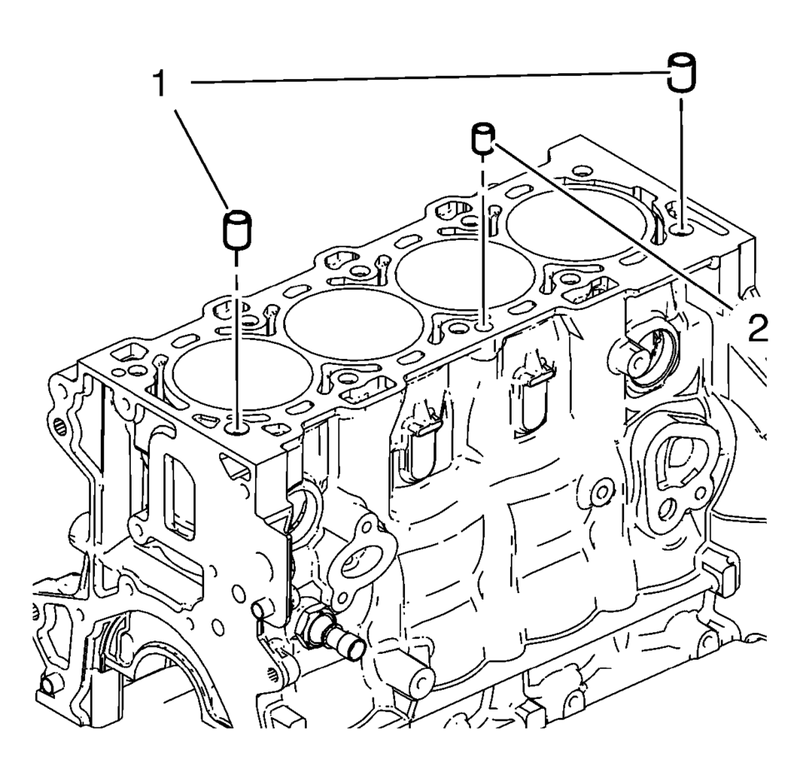 Remove the cylinder head locating (1, 2). 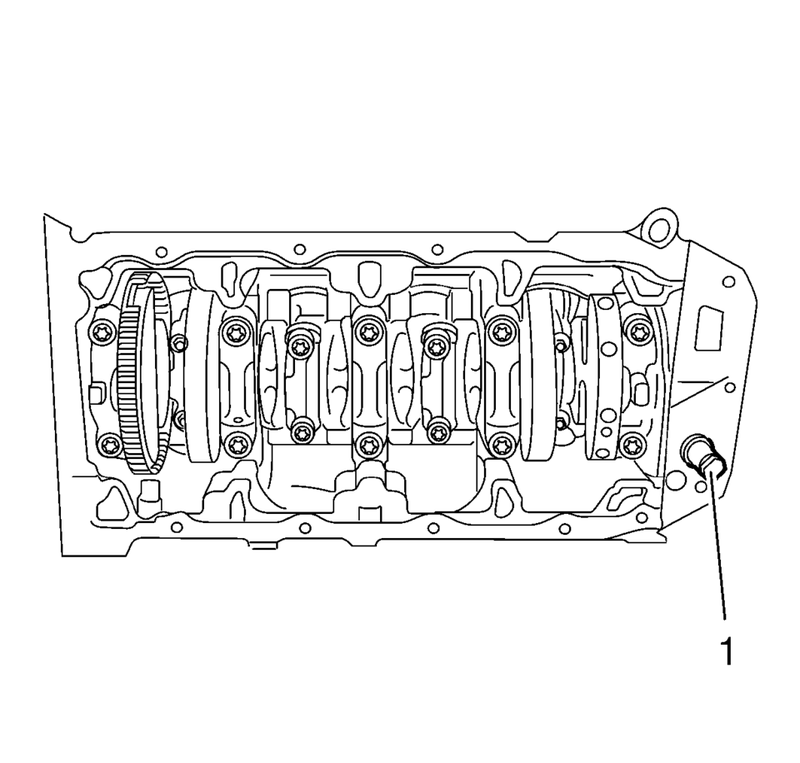 Remove the oil pressure switch (1). 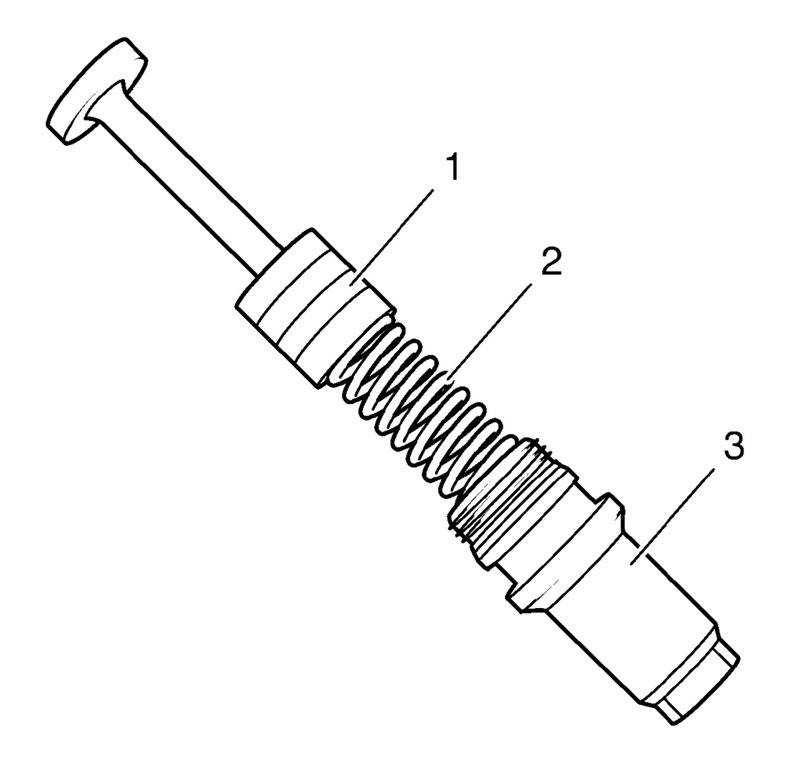 Remove the knock sensor bolt (2) and the knock sensor (1). Remove the oil flow check valve (1). 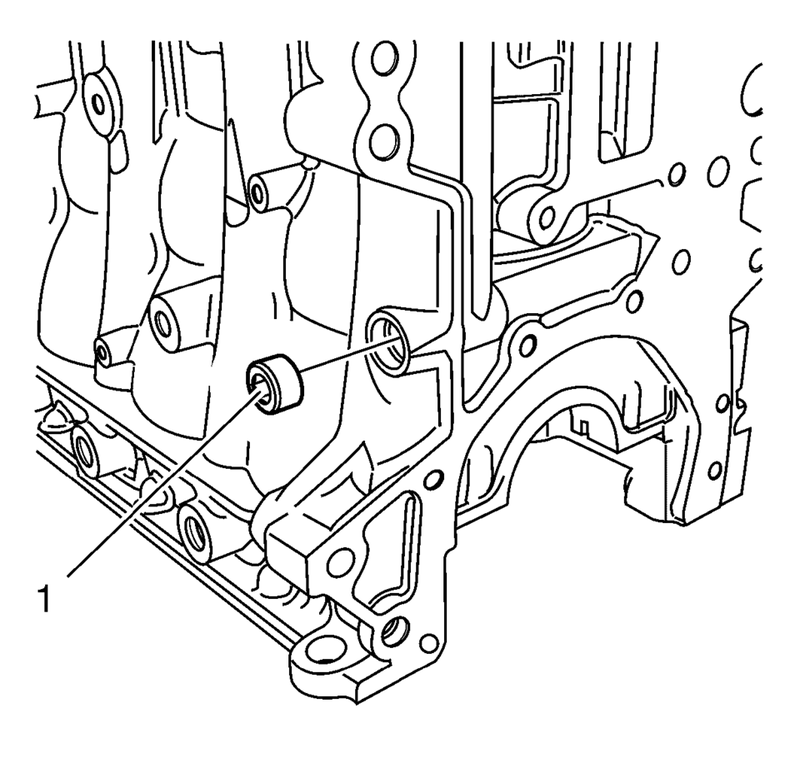 Remove the oil pressure relief valve closure bolt (1) and the oil pressure relief valve. 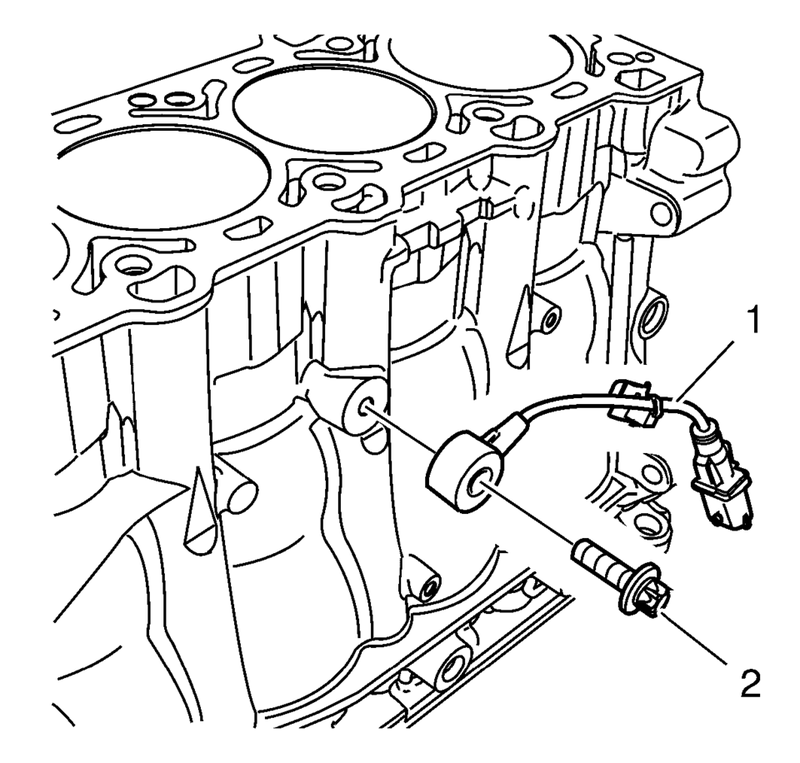 Remove the piston (1) and spring (2) from the oil pressure relief valve closure bolt (3). Clean and inspect the components. 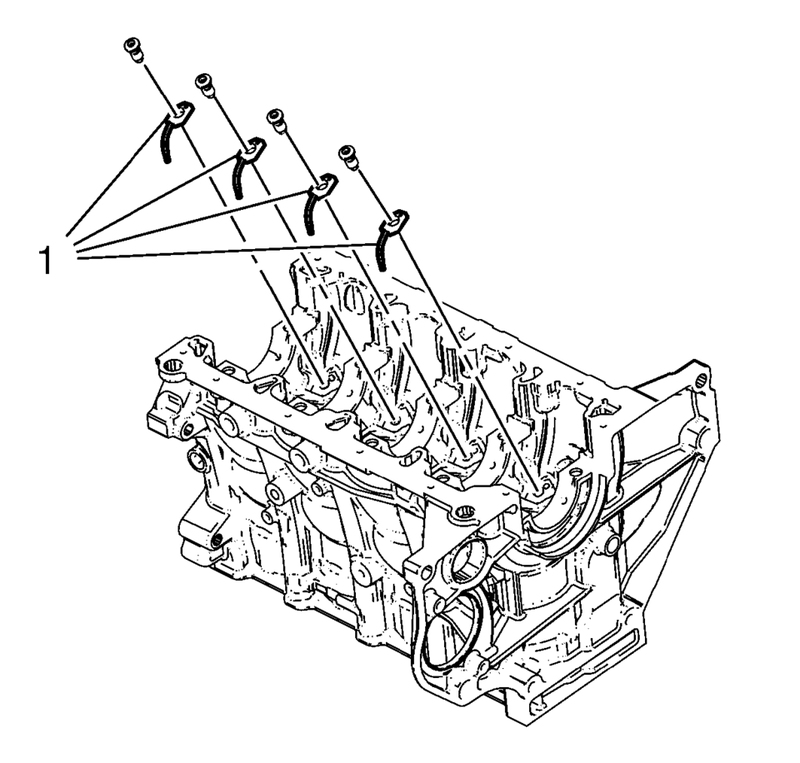 Refer to Engine Block Cleaning and Inspection. 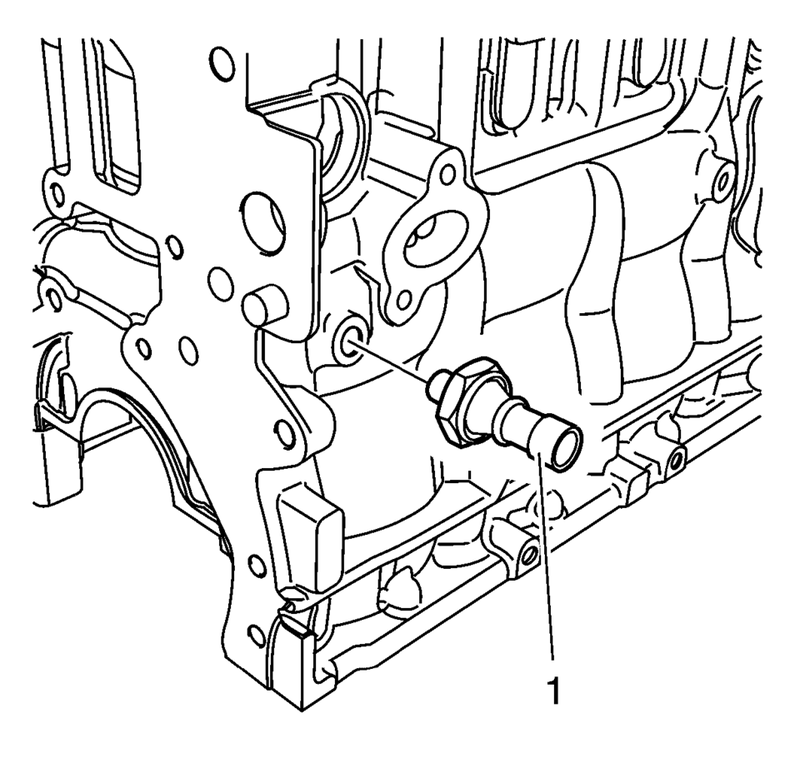 Remove the 4 piston oil nozzles (1).